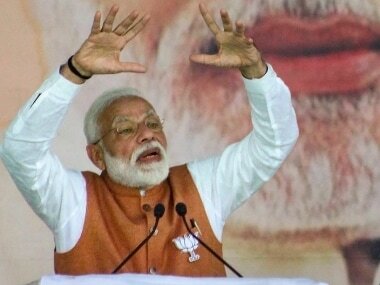 New Delhi: Prime Minister Narendra Modi on Tuesday suggested any decision on an ordinance on Ram temple in Ayodhya can happen only after the completion of the judicial process but asserted that the government was ready to make all efforts to fulfill its responsibility. 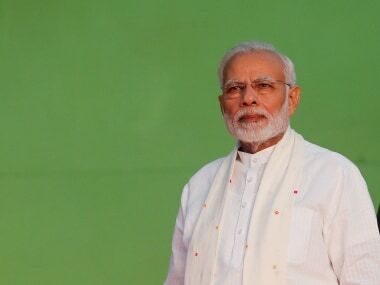 Modi's comments came amidst heightened demands by Hindutva organisations, including the RSS, for an ordinance for an early construction of the temple. Reacting to the comments, the RSS said people expect the Modi government to fulfill its promise of building the Ram temple within its tenure as the BJP was elected to power in 2014 for committing to all possible efforts to do so. The RSS also described Modi's remarks as a "positive step" towards the construction of the Ram temple, saying it was in line with a resolution passed by the BJP in 1989 in Palampur in which the saffron party had committed to the construction either through mutual consultation or an enabling legislation. However, Shiv Sena leader Sanjay Raut reacted sharply, wondering "whether law is bigger than lord Ram." Drawing a parallel with the triple talaq case, Modi said an ordinance came only after the Supreme Court order. He also accused the Congress of delaying the judicial process in the Ram temple case through its lawyers. The Supreme Court is scheduled to hear the case on 4 January. 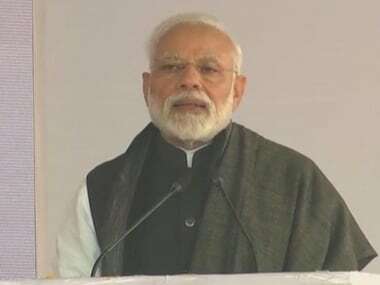 Modi also answered a wide range of issues, including on opposition's efforts to form a grand alliance to take on the BJP in 2019 elections, rumblings within the NDA, the 'Modi magic', Urjit Patel's resignation as RBI governor, demonetisation, mob lynching and BJP's defeat in three Hindi heartland states of Rajasthan, Madhya Pradesh and Chhattisgarh. 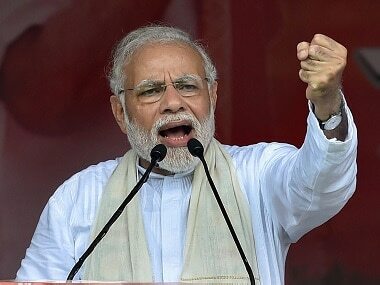 Amidst criticism that the surgical strike failed to check Pakistan's support for terrorism, the Prime Minister asserted that it would be a "big mistake" to think that Pakistan will mend its ways after just "one war". "Pakistan will never improve on the basis of one war.That nation will still take some time to improve. All PMs of India, across all parties never opposed dialogue with Pakistan," he said. "But, can we hear anything in the midst of bombs? Today, terror supporting Pakistan is isolated," Modi said. 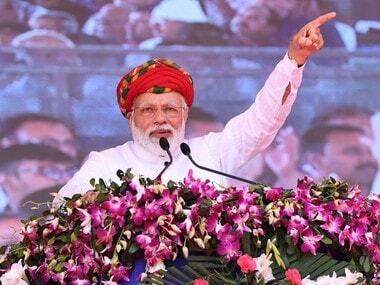 Rejecting opposition charges that his government was anti-farmer, the Prime Minister said,"there is a small segment of farmers who take loans from banks. A majority of them take loans from money lenders. When governments make such announcements, those farmers do not become beneficiaries of waivers. The farmers who are dying are out of the purview of such schemes." On the opposition charge Patel was forced to quit as the central bank head, Modi said he had been requesting to be relieved for six-seven months due to personal reasons and these requests were made even in writing. While Congress chief spokesperson Randeep Surjewala termed it as, "bereft of ground reality, 'jumlas' (rhetoric) galore, Modiji's interview looks like a parody", his party colleague and former Union minister Anand Sharma alleged that it was "fixed". "Nation suffers - DeMo, Gabbar Singh Tax (GST), bank frauds, black money, Rs 15 lakh in every account, corruption in Rafale deal, price rise, national security imperilled, farm distress, and 'acche din'," Surjewala said. In his counter-offensive, BJP's spokesperson Nalin Kohli said, "It is a comprehensive, detailed and candid interview in which the PM has spoken on a wide range of issues that have been in the media space for some time. This interview completely demolishes the motivated agenda of opposition parties and vested interests that seek to malign the sterling performance of his government."